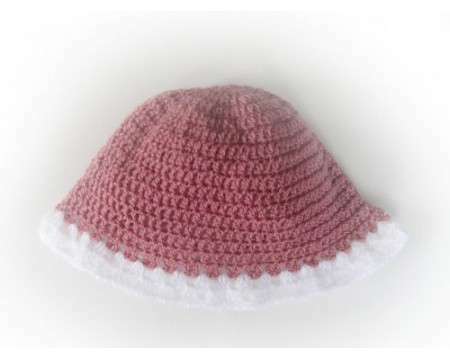 This crocheted acrylic cap is perfect for a hot summed day. It is. It measures 11" around head unstretched and 5.5" from top to bottom rose colored (dark pink). The edge is white mohair. Fits a 2-3 year old baby.